Acidity levels in the planet's oceans have risen by 30 percent since the start of the industrial era, and are now at their highest levels in at least 55 million years, delegates said at a conference in Bergen, Norway dedicated to the subject. 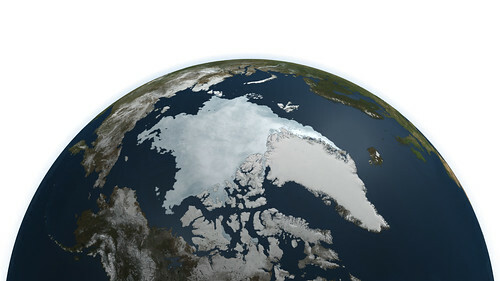 The Arctic Ocean is more vulnerable than other oceans because its cold waters absorb more carbon dioxide. It is also fed by fresh water from rivers and melting ice, which makes it less able chemically to neutralise the acidification effects of the carbon dioxide. Even if carbon dioxide emissions were to be brought to a halt today, it would take tens of thousands of years for the oceans to return to the acidity levels they had before the industrial era began two centuries ago, according to Norwegian researcher Richard Bellerby, the main author of a scientific study on the subject. A little-known phenomenon that is spread unevenly in bodies of water, including in the Arctic, acidification poses a threat to corals, mollusks and other shell organisms such as pteropods, also known as sea angels and sea butterflies, whose ability to calcify has been altered. Some species, such as the brittle star which is similar to a starfish, face a direct risk of extinction, and fish stocks may also be affected. As a result, industrial fishing, tourism and the lifestyles of indigenous peoples are at stake. However, other species could benefit from the rising acidification, scientists said. "Uncertainty is not an excuse for inaction," said Sam Dupont of Sweden's Gothenburg University. Scientists called for politicians to once again put climate change at the top of the political agenda, regretting that the issue had been overshadowed by the economic crisis. "We have to think beyond this bank crisis," said Carol Turley of the Plymouth Marine Laboratory in Britain.